The issue of waste plastic is of huge concern globally and in the UK alone, approximately 4.5 million tonnes of plastic enters the waste stream every year. As a keen reader of Green Blog I thought that it might be interesting to summarise the latest developments in the field of recycled packaging, here in the UK and Europe. Approximately half of the EU's waste plastic currently ends up being sent to landfill, as highlighted by a Green Paper released by the European Commission in early March. This is obviously a huge waste of energy - in fact, disposing of waste plastic in landfill has been estimated as the equivalent of burying 12 million tonnes of crude oil annually. In a world of finite energy resources this is clearly unsustainable and unacceptable. The Green Paper also highlighted the problem of single use plastic bags. It is estimated that 200 plastic bags are used per person each year in the UK, a statistic that has led some to call for non-biodegradable carrier bags to be banned. In fact, non-biodegradable bags were banned in Italy over two years ago - with other European countries taking steps to discourage their use. Ireland, Bulgaria and Denmark have introduced a plastic bag tax which has hugely reduced the number of bags used.In Ireland there was a 90% fall in their use following introduction of the tax, figures mirrored in the UK when leading retailer Marks & Spencer started to charge for bags and saw a drop in their use of 80%. Northern Ireland is the latest country to implement a carrier bag tax, when in April retailers began charging at least five pence (eight US cents) a bag, with the proceeds being forwarded to the British government's Department of the Environment. Urgent action is required because, as many of us realise, our environment is being massively contaminated by plastic - a fact starkly portrayed recently in the documentary Trashed. The documentary highlights various landscapes that have been polluted by waste, including the "˜Great Pacific Garbage Patch', a massive concentration of marine debris in the Pacific Ocean. Seaborne waste is not merely visually unpleasant - it is a real danger to animal and human health. Plastic particles in the sea attract chlorinated dioxins, which are then eaten by marine creatures. Humans ingest the harmful chemicals when they eat fish and other sea life. As well as wasting energy resources, the disposal of plastic through burial and incineration is hugely damaging to the environment. Greenhouse gases such as methane and carbon dioxide are emitted when waste breaks down or is burnt, and these gases contribute to global warming. Raised global temperatures cause ice caps to melt, releasing into the oceans even more toxins that had previously been stored in the ice. 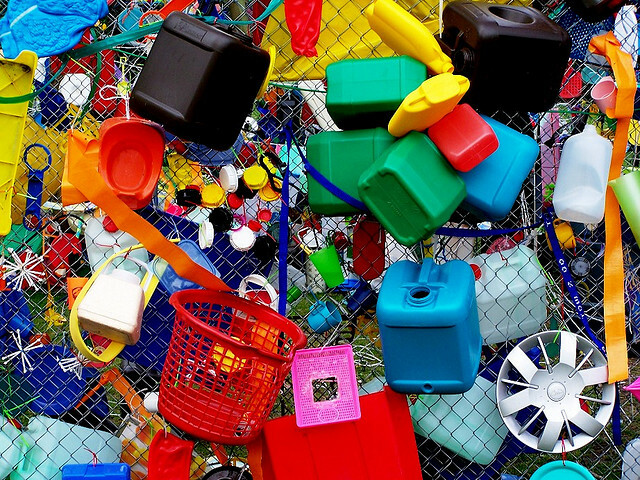 Recycling waste plastic is a good way of cutting down on the amount sent to landfill or incinerated. Here in the UK 92% of local authorities collect plastic bottles for recycling; bottles are typically made from two of the most easily recyclable plastics, PET and HDPE. Some plastics are unfortunately harder to recycle - the type used to make yoghurt pots and margarine tubs, for example - but large investments are currently being made in the UK into new plastics recycling technology, so hopefully it will not be too long until we significantly reduce the amount of waste being sent to landfill or incinerated. Whilst we still have a long way to go, the signs are very positive that here in the EU we are starting to take the problem of waste plastic seriously. Plastic wastes are increasing, and this is a very serious issue which needs to be addressed. Every piece of plastic that has ever been produced is still in existence, with much of it collecting in our landfills and environment. Its good to see that in Europe this issue is being given the required attention.